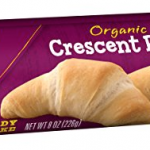 New Annie’s Coupon Plus Crescent Rolls Target Deal Idea! There is a great new $1 Annie’s Baking Product coupon available to print! Combine coupon with Cartwheel offer to score a deal on Annie’s Crescent Rolls through 12/24 at Target! Here's how:Buy Annie’s Crescent Rolls 8 ct $3.49 Use 30% Off Annie’s Refrigerated Dough Target Cartwheel coupon … [Read more...] about New Annie’s Coupon Plus Crescent Rolls Target Deal Idea! Boost Original Nutritional Drinks Only $1.49 At CVS! CVS will be offering $10 Extra Care Bucks for purchasing $25 worth Boost Nutritional Drinks starting 1/1/17! Combine ECB with coupons to get 6-packs for $1.49 starting 1/1/17! Here's how:Buy 4 Boost Original Nutritional Drinks 6 pk $6.99 each ($27.96) Use 4 $3 Boost coupons (you'll need two … [Read more...] about Boost Original Nutritional Drinks Only $1.49 At CVS! Oral-B Cavity Defense Toothbrush Only $.49 At Target! Right now you can get Oral-B Cavity Defense Toothbrushes for $.49 at Target with new coupon! Here's how:Buy 2 Oral-B Single Cavity Defense Toothbrushes $1.49 each ($2.98) Use $2/2 Oral-B Adult Manual Toothbrushes coupon Final Price: 2/$.98 ($.49 each)This deal is based on the everyday … [Read more...] about Oral-B Cavity Defense Toothbrush Only $.49 At Target!